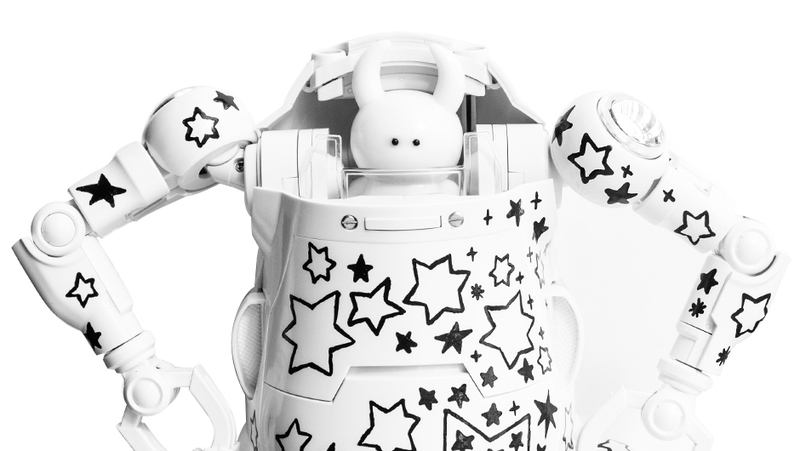 Who hasn’t heard of MechatroWeGo? If you haven’t, it is just the most adorable and convenient multi-purpose bipedal vehicle to have ever appeared on the consumer market! 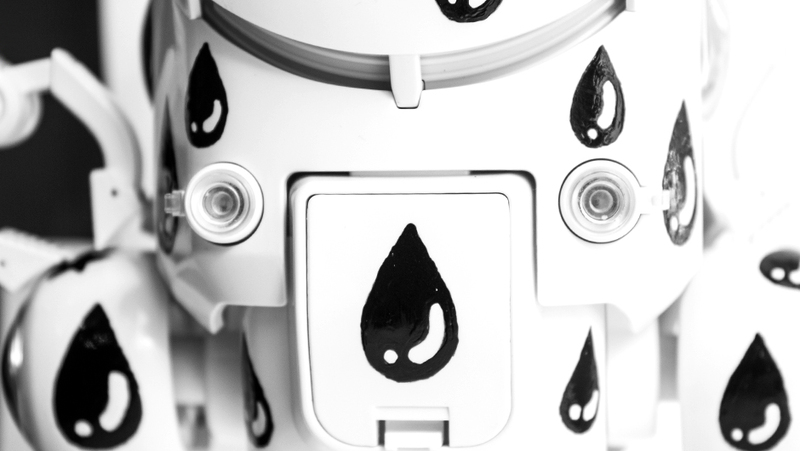 During DCON 2016, a mini exhibition featuring customised MechatroWeGo will be held at the Designer Con Gallery Space. 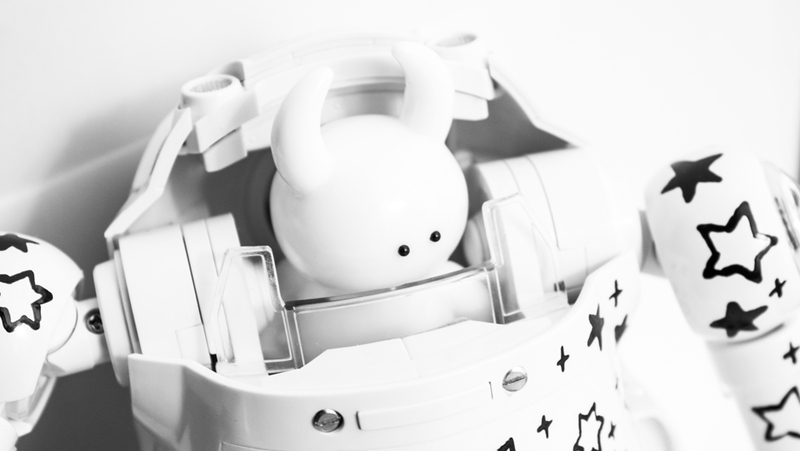 Among the many artists participating Ayako Takagi has customised a 1/12 scale MechatroWeGo as well. 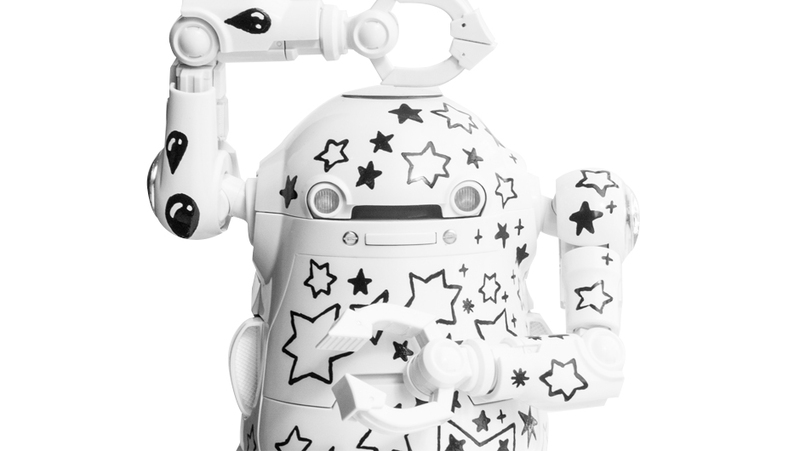 Hand-painted in Takagi’s signature black and white decorations, the WeGo is piloted by a little Uamou. 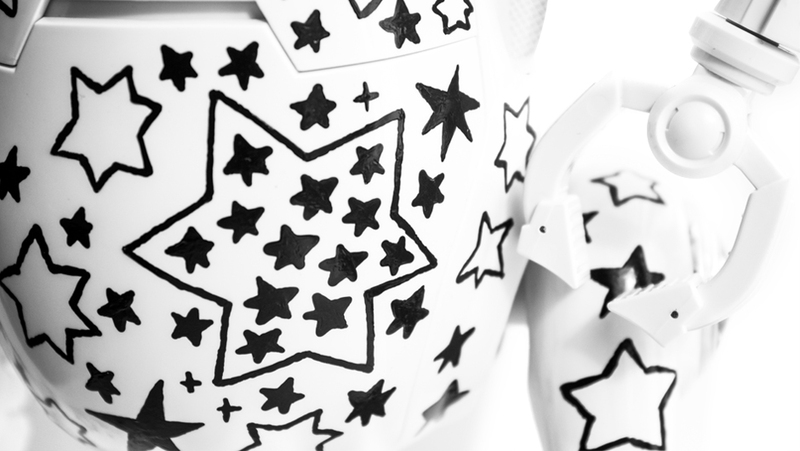 We are sorry, this is just too much! 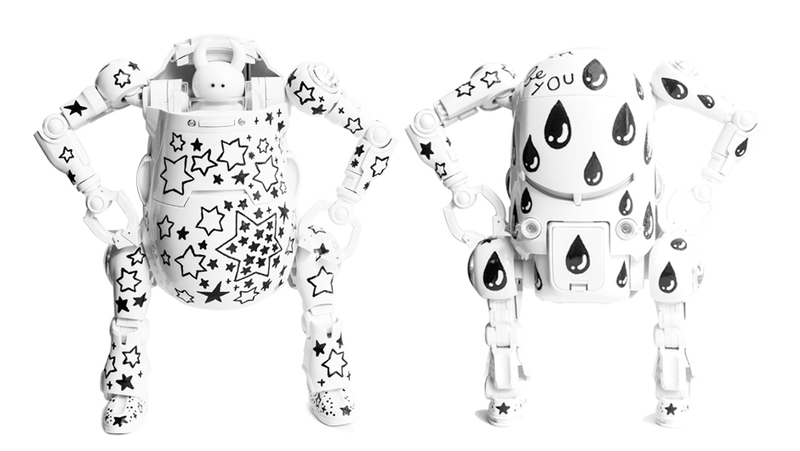 We desperately want one in our studio as well but unfortunately these customised WeGo are not for sale, the good news is that the mini exhibition is scheduled to travel many toy fairs around the world so please come and have a look whenever the mini exhibition will be arriving close to you!